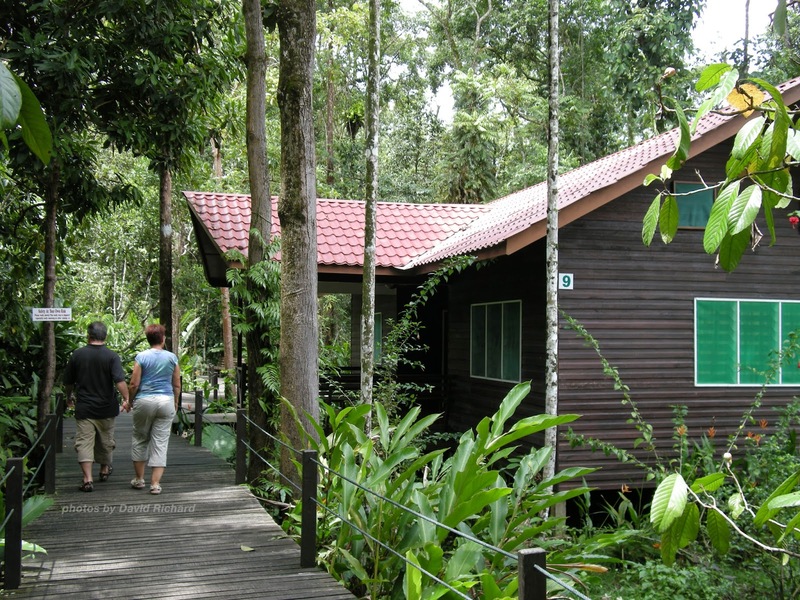 Abai Jungle lodges is situated 47km from the mouth of the Kinabatangan River on the east coast of Sabah. The usual way to get there is to take a boat from Sandakan City across the bay and cruise up river to Abai, which takes about an hour by fast boat. 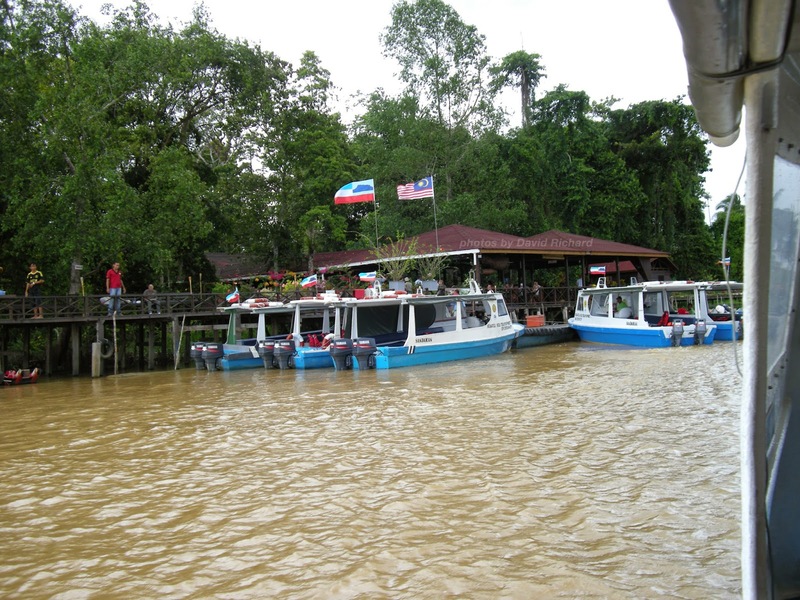 Abai has been featured in tour itineraries for tourist on daytrips to Sandakan, as there are hundreds of Proboscis monkeys living in the forest by the riverbanks. In 2002, Ms. Amy Chin the owner of S.I. Tours decided to set up a restaurant at Abai to cater for her guest and also to get more involved in Eco-tourism projects with the local villagers. Due to the positive feed back from tourist to Abai, she decided to build a lodge and provide overnight accommodation for tourist to the area in 2005. A boat rine on the ox-bow lakes. The Abai Jungle lodge provides a level of accommodation and comfort equal to that of a 3 star hotel and has won many Tourism awards over the years. 24 Large individual chalets constructed out of local timbers are connected to the main restaurant by a wooden plank walk raised above the jungle floor. The chalets have attached hot water showers and toilets and furnished with large beds and extra thick mattresses. The rooms are mosquito screened, fitted with smoke detectors and fan cooled. (There is no air- conditioning as every effort has been made to protect the environment). A Reverse osmosis water purifying system has been installed to treat the rainwater used throughout the lodge and biodegradable, environmentally friendly shampoo & toiletries are provided for guest in all the rooms. 3 units of Green engine diesel Generators provide 24-hour electricity. A raised wooden trail has been built which encircles the lodge and provides visitors with the opportunity to walk through the rainforest without having to disturb the forest floor . One are of the walkway has been enlarged to include a platform where breakfast is served and you can experience the luxury of having a full breakfast in the middle of the rain forest. Night walks are also conducted here and a whole new world opens up as various insects, moths, sleeping birds and other creepy crawlies are seen with the aid of torchlights. 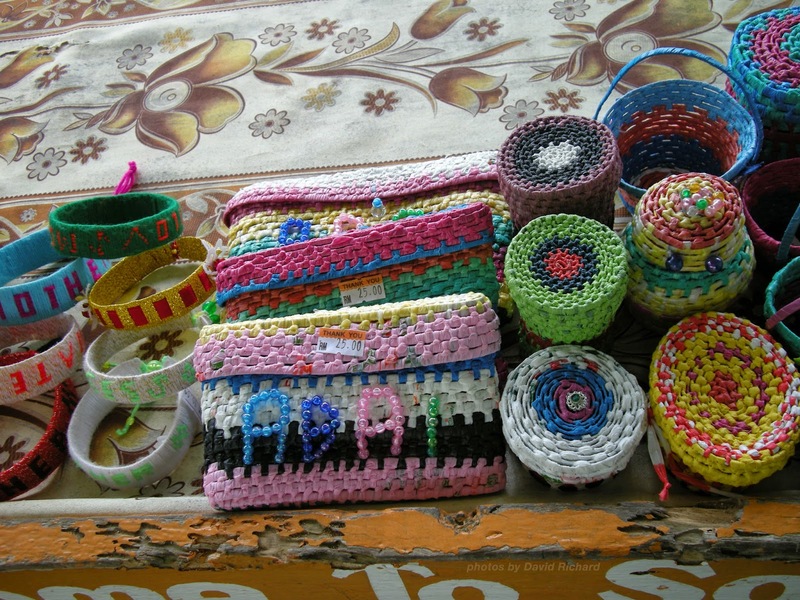 Handicraft made from recycleable meterials. In keeping with the Eco- tourism concept, the tourist dollar is also shared with the inhabitants of Abai Village through various means. Many of the villagers are employed at the lodge and Amy also buys fresh prawns and fish from the villagers for meals served at the lodge. RM1.00 from every guest to the lodge is donated by S.I. to the Abai Home stay Development Fund (AHDF) and the money is used to upgrade the Village owned home stay program by purchasing western style toilets, a grass cutter machine, vegetable seeds, bedding, mineral water, school bags, uniforms and other necessities. Tourist replanting trees along the riverbanks. 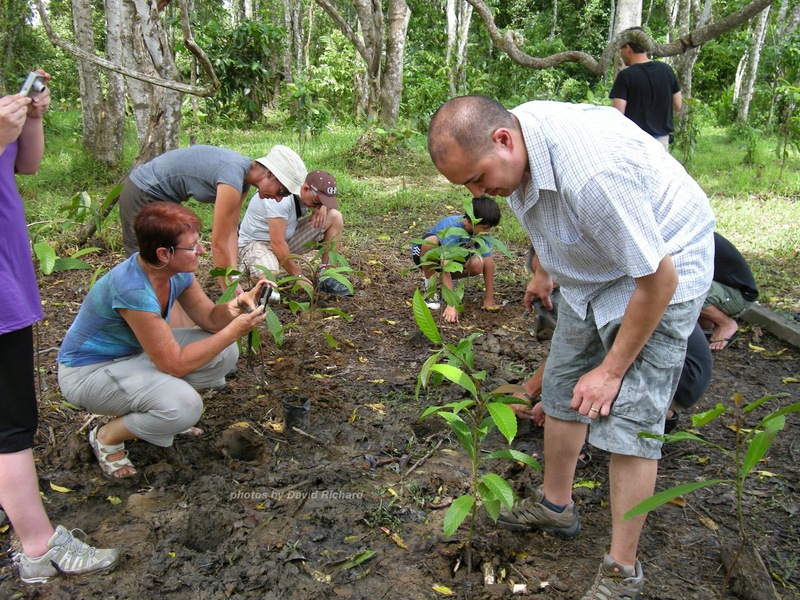 A Tree Planting project was started together with the villagers and for a fee of RM25.00 (included in the tour Package), Tourist will have the opportunity to purchase seedlings of native fruit trees from the villagers and plant them along the degraded forest of the river banks. This also includes a visit to the village and lunch with the Villagers. This project provides the villagers with additional income, gives them the opportunity to interact with foreigners and also instills a sense of conservation amongst them. Activities for guest at the lodge include river cruises to see wildlife such as birds, various monkeys like Silvered, Maroon and Hose Languor’s and Wild Orang Utans. In the evenings guest can go on a night cruise to see fire flies which light up the mangroves like Christmas trees. For a real Eco friendly wildlife experience, a tour with S.I.Tours to their Abai lodge will surely not disappoint you. Tel: =6 089 213502 , 223503.